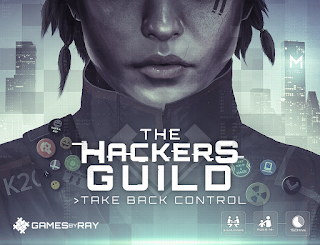 Congratulations Barrett Straub, Wesley Meijer, and Drew Taylor winners of The Hackers Guild Giveaway! A huge thank you to Games By Ray LLC for bringing us this giveaway. If you were not one of the lucky winners you can pick up your copy on Kickstarter by clicking HERE or the image below. The campaign ends November 3, 2016. Along the way, players will be able to upgrade their computer hardware and purchase hacking tools that will make the hacks easier to accomplish. 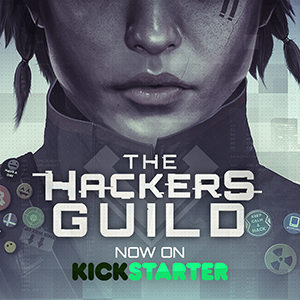 Find out more about The Hackers Guild on Kickstarter.com and BoardGameGeek.com. Thank you Games By Ray LLC for bringing this awesome giveaway to EverythingBoardGames! omg :D i playtested this game and it's so freaking awesome. Thanks Quentin! I appreciate the kind words. I would appreciate any feedback you would have in regards to the Kickstarter campaign. Thanks Quentin! I appreciate the kind words. I would love to hear what you have to say about the Kickstarter campaign if you had a chance to check it out.